Laura Vanderkam has written a good article for Fast Company about the value of face-to-face communication. She examines the science behind why in-person communication may be more beneficial than virtual meetings at times. Vanderkam points to one particularly interesting study by Juliana Schroeder, Jane Risen, Francesca Gino, and Michael Norton. They found that, "Handshakes are particularly consequential nonverbal gestures in negotiations because people feel comfortable initiating negotiations with them and believe they signal cooperation." The scholars discovered that handshakes lead to more cooperation in a negotiation. That collaboration helps people grow the pie, i.e. achieve potential win-win outcomes. Moreover, the handshake led to more honest behavior. People were less likely to lie about their interests after exchanging a handshake with another party. 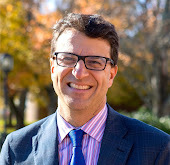 Vanderkam points out several other benefits of face-to-face communication. You can read nonverbal cues more easily, and frankly, you are more attentive as it becomes much more socially awkward/inappropriate to multitask in person. In other words, you are simply less likely to look at your laptop, tablet, or phone if you are in a face-to-face meeting than in a virtual setting. 1. The invite was not personal. Consider reaching out personally to some key people and ask them to invite others personally. That direct touch still matters, even in this electronic age. 2. You didn't answer the question: What's in it for me? You have to demonstrate or explain why there's value for them in attending. 3. You failed to focus enough on who else will be there. People want to know if key peers will attend as well. They want to be able to connect, communicate, and learn from them. Yes, we all still act like high school students. We want to know who else is going before we join the party. We've all faced that final job interview question: Do you have any questions for me? We've heard the advice. Be sure to ask questions that show you have done your homework about the organization. I agree completely. I think another question is equally crucial: If I joined the firm, what do you think a successful first year would look like? What would we have accomplished? That question can really help you determine whether their expectations are reasonable, and whether you have the capabilities to meet those expectations. You can also get a sense of the culture. Did they respond by simply citing some metrics you must achieve, or did they talk about building relationships, developing a team, etc.? If different interviewers give you radically different answers to this question, it tells you the organization is not on the same page about this role. That's not good news. How Could the Volkswagen CEO Not Know About the Emissions Issue? Martin Winterkorn resigned as chief executive of Volkswagen yesterday, after a major scandal rocked the company. The company has admitted to manipulating technology to dodge emissions regulations. Winterkorn continues to insist that he didn't know anything about the impropriety, though he did take responsibility and step down as chief executive. Could it be possible that he didn't know? Some would say that he must have known. Naturally, we have no idea whether he's telling the truth. We will have to wait for a full investigation to be completed. However, I would like to suggest that it is possible that Winterkorn did not know. Why? Volkswagen, like many companies, may have had a culture where people were afraid to share bad news with senior executives, and afraid to speak up when they disagreed with key decisions being made. Of course, Winterkorn is responsible for the culture. If people didn't share the bad news with him, we have to ask whether he cultivated a climate in which people were afraid to speak up. Did he do enough to reach out and invite people to share bad news, express dissenting opinions, and disclose risks? The leaders of any organization ultimately are responsible for creating that safe space and for encouraging people to speak up. 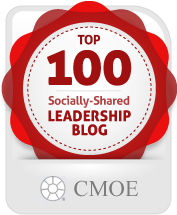 Leaders need to do more than have an open door policy. They have to reach out and try to uncover hidden risks. They have to become problem finders. Yesterday we learned that Volkswagen employed software specifically designed to circumvent emissions regulations. When I heard the news, I began to think about several recent scandals in the automotive industry. GM had the ignition switch scandal. Toyota had the acceleration problems. Now Volkswagen has acknowledged to tampering with technology to make it appear as though emissions were lower than they actually were. What do all three firms have in common besides these unfortunate failures? At one point or another over the past fifteen years, each firm has aspired to be the largest automotive company in the world. Each company aimed to achieve the number one position in terms of market share. I cannot help but think that such aspirations contributed to the problems that have surfaced. Becoming number one in market share should never be the goal of a firm. They should be striving to achieve solid returns for their shareholders, exceed the expectations of their customers, become a responsible corporate citizen, etc. Market share should not be the ultimate goal. What's the downside of trying to be number one in market share? It means that you may grow faster than you are capable of growing. You may create an organization that is too large and complex to manage effectively. You may overlook issues and problems in an effort to grow. I'm not saying that aspiring to have leading market share is the only cause of these scandals. Of course, many other factors contributed to this behavior. However, I do think these scandals illustrate how trying to be the biggest can have pernicious unintended consequences. The alcoholic beverage industry has experienced a significant change in the past few years, as a wave of new entrants has emerged. 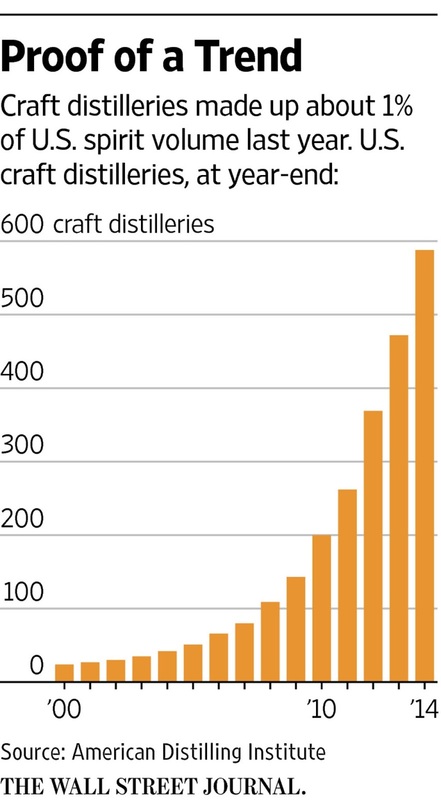 A large number of "craft distillers" have exploded onto the scene. According to the American Distilling Institute, the number of small distilleries has risen tenfold over the past ten years. According to a recent article in the Wall Street Journal, the large players are taking notice. They don't want to get caught unprepared, as they were to some extent when craft beer began to disrupt their business. 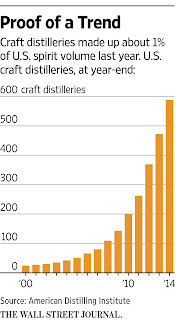 The rise of craft beer and craft distilleries raises an important strategy point. For years, people argued that the barriers to entry in markets such as beer and distilled spirits were high because of economies of scale, brand equity, route to market advantages, and the extensive advertising and marketing required to launch a new product. What's happened? How have startups cracked these markets? It's become easier to enter these days for a variety of reasons. Perhaps most importantly, one can launch a new brand more easily today than in the past. You don't need traditional marketing and advertising approaches, which can be very expensive. You can use guerrilla marketing and social media to introduce a new product. Authenticity has become a key product attribute for consumers, and entrants can play on that trend. Retailers are looking for new, high margin, premium products to add to their portfolio. Deregulation has occurred, with some laws restricting the sale of alcohol at certain days, times, and locations coming off the books. Moreover, some rules restricting production have changed as well. What's the broader lesson here? Economies of scale might be significant, but we can't overestimate their ability to prevent entry. Niche players can still emerge. Other entry barriers can decline, precipitating entry despite scale disadvantages. Moreover, some advantages of being small often are overlooked. While no one niche player may take substantial share, as a group they may create a significant disruption in the marketplace. The strategic threat is not from one particular entry, but from a class of entrants. That's a concept that incumbent players in many industries should keep top of mind. What is reverse mentoring? It's when you have the new, young, rising talent in an organization teaching and advising the experienced managers and executives. An effective reverse mentoring process enables senior executives to keep tabs on key social and technological trends. 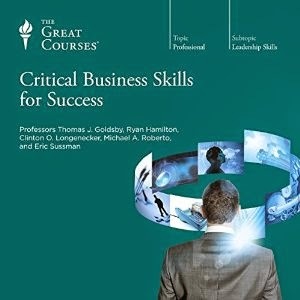 Moreover, it provides a way for senior leaders to gain a better understanding of the millennial employee and customer. Each summer, we bring in interns across a wide range of disciplines: technical, legal, marketing and this year social media. This years interns were impressive. Over the years – I use interns to be my pulse on what is happening in the education system. In my previous role, I would select two and have them stay at my house. For their internship, they would report to someone else. At night – it was the barrage of constant questions. Why must we do something a certain way? Why aren’t we doing this? Now most of us would not be willing to take interns into our homes. However, we can find ways to structure a series of conversations with our summer interns to tap into their insights, knowledge, and creativity. In some firms, you might do this through a series of one-on-one conversations with interns. In others, you might assemble teams of interns, and ask each team to take on a particular innovation challenge for the firm. The teams then might be given the opportunity to present their findings to senior executives. Interns will enjoy this type of activity, because they get a chance to do something that is definitely not mundane, routine work. Moreover, they have a chance to get in front of senior leaders. Meanwhile, your organization creates a natural reverse mentoring process. On Friday, September 18th, the new movie - Everest - premieres at theaters across the United States. The film chronicles the tragic events that took place on the world's highest mountain in May 1996. Rob Hall and Scott Fisher, two experienced expedition leaders, died on the mountain along with several others. Jon Krakauer wrote a best-selling book about those events (Into Thin Air). I'm curious to see the movie, as I wonder how accurately it will depict the decisions and events of May 1996. I'm looking forward to the film, as I have spent more than a decade studying this particular tragedy as well as expedition teams in general. I've spent consider amounts of time interviewing climbers, including several people who were on the mountain when this tragedy occurred. 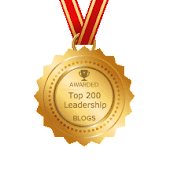 My work has focused on how expedition teams make decisions, and how leaders behave in these circumstances. I've also written about Everest climbing teams in my book, Why Great Leaders Don't Take Yes for an Answer. Below you will find two videos about my work. One focuses on the simulation, while the other discusses the leadership lessons from the catastrophe. Can Experts Predict the Next Great Startup Success Story? Scholars Erin Scott, Pian Shu, and Roman Lubynsky have written a fascinating new paper about startups. 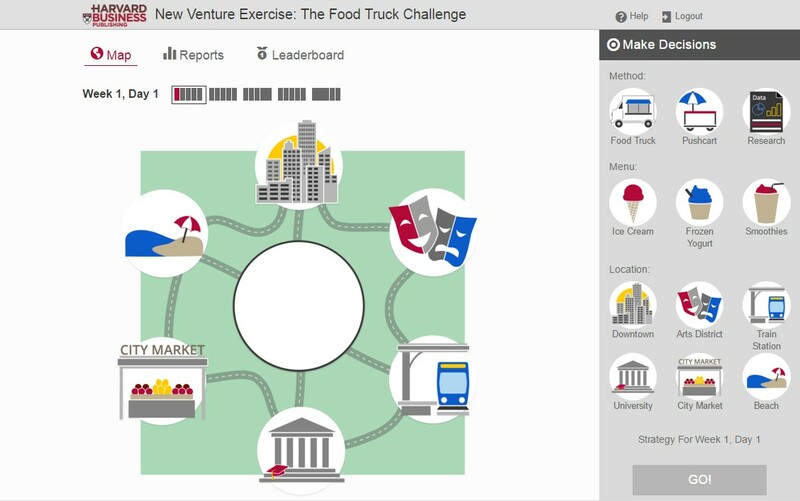 They examined a dataset of 652 ventures from MIT's Venture Mentoring Service (VMS). The service attempts to match startups with mentors. The mentors receive data about a variety of startup ideas. They must decide what they think about the ideas without having an opportunity to review information about the founders or to meet the team in person. The researchers then examined how many of these startups went on to have their products commercialized successfully. Think of it this way: if the venture “idea” includes patent-protected technology in an industry with high entry costs, it’s going to be easier to determine that the venture has commercial potential. For web and mobile ventures, which are less likely to have intellectual property, and where entry costs are lower, it’s harder to know up front whether a venture will have a real, sustainable competitive advantage. Finally, the researchers examined whether experts were better at predicting success. Frick writes, "The researchers checked to see if “expert” mentors were any better at picking ideas than the group overall. They looked at mentors with experience in the venture’s industry, as well as mentors with a PhD. Neither group was any better at predicting which ideas would succeed." When formulating strategy, leaders should ask members of their team to role play the competition from time to time. Stepping into rivals' shoes can be an effective way to anticipate their strategic moves and prepare a counter-move. In most cases, such competitor role plays focus on trying to anticipate the most damaging action that a rival might take. We try to envision the worst case and prepare for it. However, companies should also consider a very different scenario when role playing the competition. They should also anticipate the ways in which key rivals might stumble badly. What could a competitor do that would be damaging to its own position in the market? Then, leaders want to challenge their teams: How would we take full advantage of that stumble by the competition? Are we ready to capitalize on that mistake? Effective strategy formulation is not simply about anticipating the worst case scenario. It's also about asking: Are we well-positioned to take advantage of what could be a very good situation for us? Do we have the capabilities, resources, and skills to capitalize on such a circumstance? Two points should be stressed here. First, managing a global team is not simply about adapting to local culture. It is also about deciding what core norms and principles should be applied globally. Four Seasons, for instance, is known for doing an excellent job of adapting to local cultures. However, all hotels and employees around the world adhere to some common guiding rules and principles that insure a consistent high quality brand experience. Second, the L'Oreal example above provides a good model for how to handle the issue of conflict in meetings. In some cultures, it will be much more difficult to encourage people to speak up and express dissent. L'Oreal has recognized this challenge and addressed it head-on. That's something all global teams should consider. Here is a brief excerpt from my lecture series, The Art of Critical Decision Making, from The Great Courses. I have a meeting every few months that I call a “pile-on meeting.” I bring about 25 people into a room and go over all the different projects that are coming up in the next six months, and the goal is that everybody piles on with their ideas to make those projects as successful as they can be. The rule walking into the meeting is you must forget your job title. I don’t want the marketing person just talking about marketing. I want everyone talking about what they would do to make this better. It is amazing what comes out of those meetings. I like the concept a great deal. I would point out that several conditions must be present to insure that such a meeting is highly effective. First, the leader has to establish a safe environment where everyone, regardless of position or title, feels safe speaking up. Second, people have to adopt the "yes, and" philosophy... building on each other's ideas, rather than always being critical and poking holes in other's proposals. Third, when people do critique others' ideas, they have to be constructive. They can't attack people personally. They must focus on the issues, not the personalities. Moreover, they have to encourage the generation of new options, rather than just attacking the existing ideas. Finally, the leader has to enforce the shared norms, the rules of engagement. If people become to parochial, or they simply defend the interests of their functional area, the leader needs to call them on it. That need not be done publicly, but enforcement of the group norms must take place. 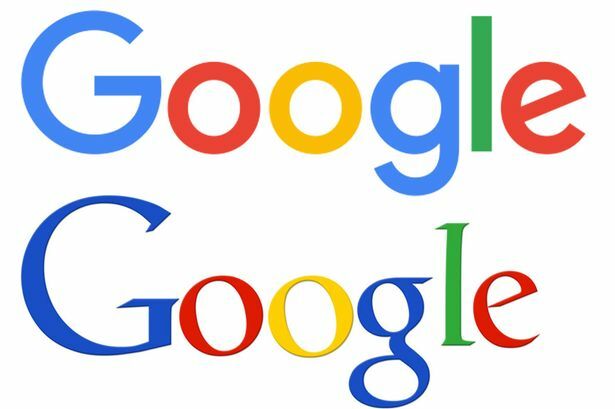 Google announced today that it has changed its logo (see the before/after comparison here). 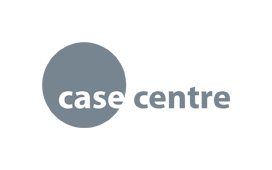 While the shift may not be substantial, it did cause me to ponder the impact of a logo change. After all, some companies spend considerable amounts of money on logo redesigns. Does it matter at all? I found an article from several years ago in Business Week that addresses this topic. It describes research by Rice University Professor Vikas Mittal, West Virginia Professor Michael Walsh, and Penn State Professor Karen Winterish. The scholars found that customers with high brand commitment tend to have the most significant negative reaction to logo changes. These high commitment customers also reported that they would be less likely to buy that brand in the future. Casual customers did not have this type of strong adverse reaction to logo changes. Mittal explained how managers must apply this research as they redesign logos from time to time: "One strategy may be to manage the reactions and expectations of strongly committed consumers by actively soliciting their input and perhaps pre-notifying them before the changes are revealed to the broader public. Giving the strongly committed such a feeling of being an 'insider' may strengthen their self-brand connection and mitigate the potentially negative effects of logo redesign."